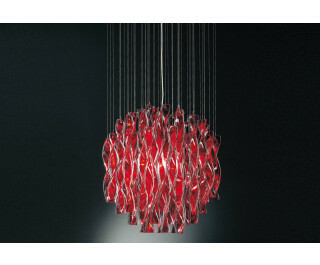 Collection consisting of wall lamps, ceiling lamps and suspended lamps with double-layered coloured Murano glass hand twisted pendants. Available in several colours and sizes. Screw fitting light source.